Stovax’s Associate Sales Director Martyn Allen spoke to ‘Homes Under the Hammer’ presenter Martin Roberts on his Saturday home improvement programme ‘Home Rule’. 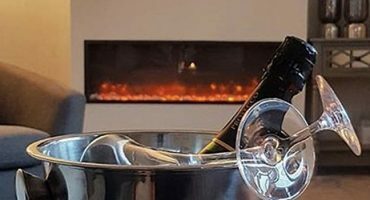 Despite their popularity, the wood burning lifestyle isn’t for everyone. So, what are your options if you prefer an easier way of life? 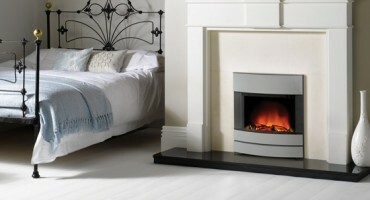 If you’re unsure, choosing an electric stove or fire may well be the answer. 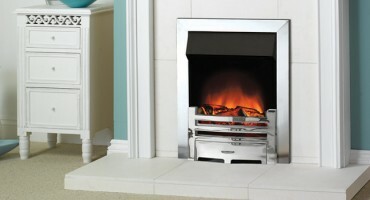 Long viewed as simply a substitute for a solid fuel or gas fire, electric fires were typically chosen for their easy installation. 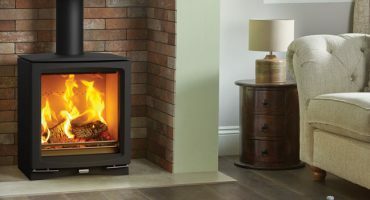 But with the arrival of fires like the Radiance electric series, featuring the very latest technology, there is far more on offer than just the plug and play convenience and quick heat you'd expect. 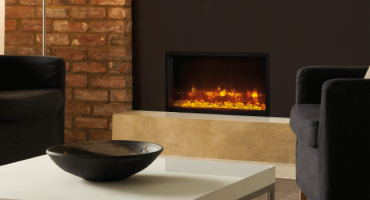 Gazco offers a wide range of electric fires that are efficient, easy to install and can provide your room with a stylish focal point. 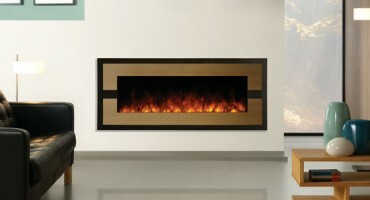 Wall Hung Electric Fires for your living space! 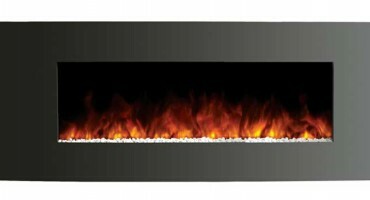 The new “wall hung” Studio Electric 3 fire is the largest in the collection. 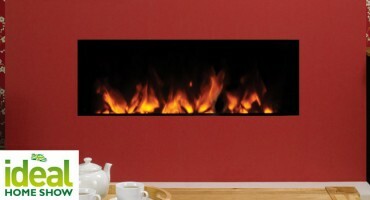 Logic Electric Fire Range – Up to 25% off! 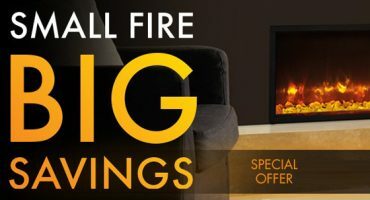 For a limited time only, Gazco is offering up to 25% off the suggested retail prices (inc. taxes) across the stunning Logic Electric Fire range. 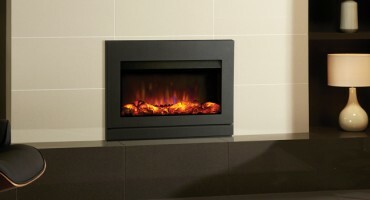 Contemporary Electric Fire Perfect All Year Round! 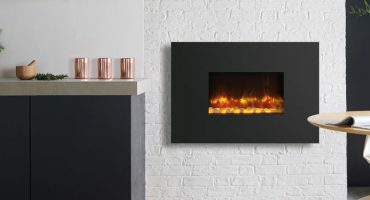 An enticing LED flame effect that may be enjoyed with or without the heat output, makes the Gazco Studio 3 electric fire the perfect option for any time of the year. 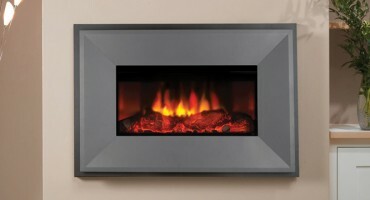 Electric Fire added to the wall mounted range! 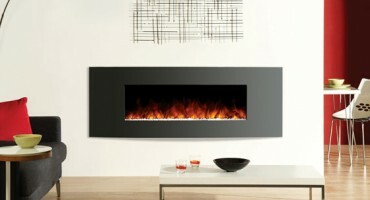 The landscape Riva2 670 is a recent addition to Gazco's premium electric range. 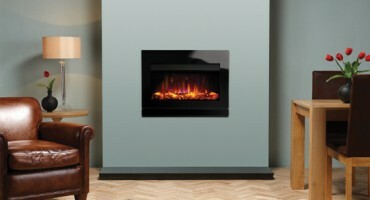 The Riva 67 Electric with a View frame in Iridium has been selected by the Ideal Home Magazine for their Ideal Home Show at Christmas, taking place this November at Earls Court in London. 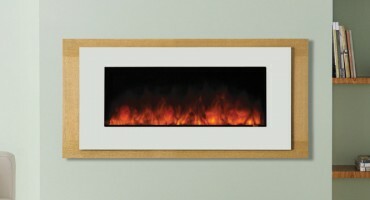 The highly efficient Studio Electric E-Motiv comes in a variety of sizes, from the landscape 1, 2 and 3 to the portrait 22, with dimensions that are perfect for narrower walls. 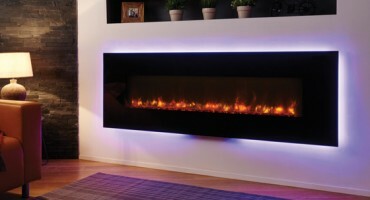 Gazco Electric Fire on Secret Eaters! 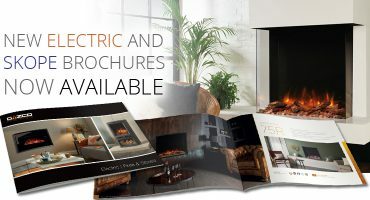 Electric fires have come a long way with the introduction of Gazco's highly realistic and efficient features as well as ultra stylish designs to suit a range of decors. 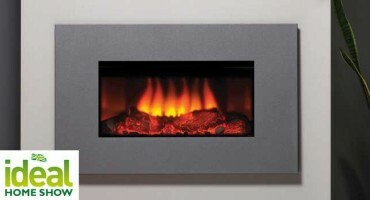 Studio Electric Fire of Choice at Grand Designs Live! 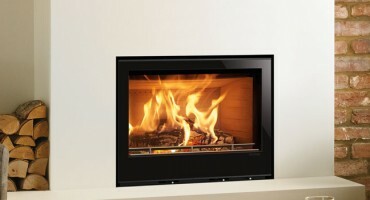 The Gazco Studio 2 Electric Verve is bringing heat and light to the Grand Designs Live 2012 'The Automated Home' sitting room. 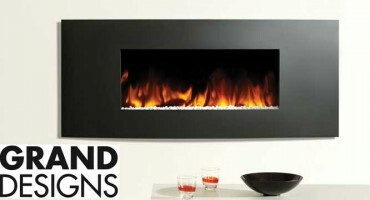 As featured in the Ideal Home Show! 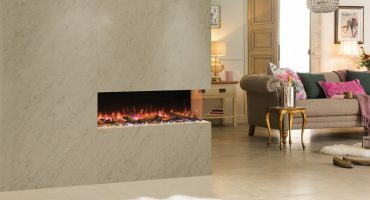 Using innovative and fresh ideas to create stylish and contemporary rooms with Gazco electric fires and a Stovax marble mantel.